Sharing the Beauty of Our Seas, One Diver at a Time. So, you are at a crossroad wondering if Scuba Diving is really for you and would like to learn more without going through a certification process. Why not let us try to convince you by trying our NAUI Try Scuba program? The NAUI Try Scuba program allows you to experience breathing underwater and seeing marine life without going through a certification course. It is a one day program where our qualified NAUI Instructor will teach you basic skills required for you to dive safely and enjoyably. After practicing these skills, your NAUI Instructor will watch over you and lead you on 2 dives. Your safety and positive experience is always our concern. The program will be conducted on Sapi Island, in our opinion, one of the nicest places to learn diving because of the gentle slope underwater and the often calm seas. To be able to join in the fun, you must be at least 10 years old and in good health. Meet at Jesselton Point at 8:45 a.m. This is where we will help you choose the right size wetsuit, BCD and fins for you. 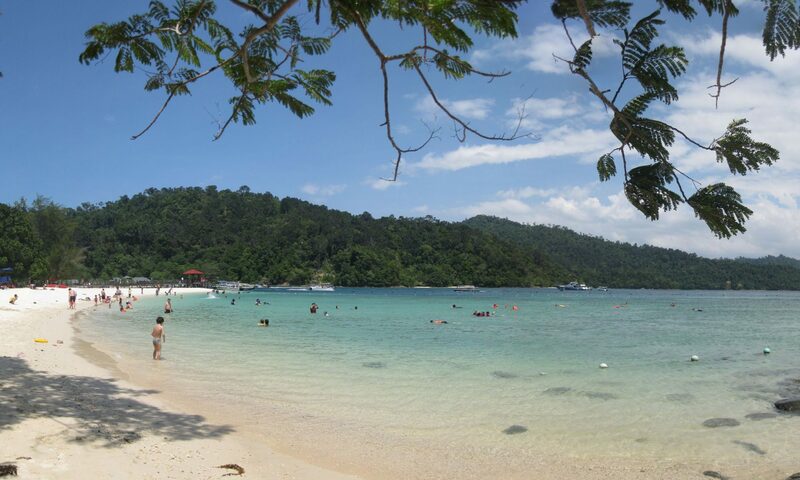 Head out to Tunku Abdul Rahman Park Sapi Island. 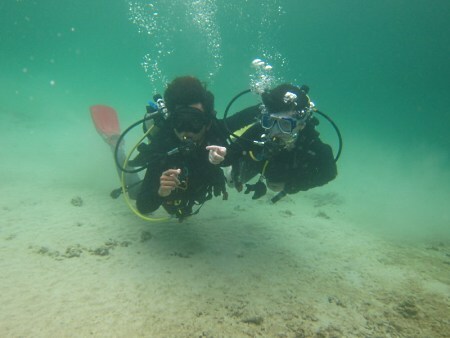 Learn basic skills and go on first dive from the shore. Go on second dive from a boat. Head back to Jesselton Point at 3:00 p.m.
Swimsuit, an extra change of clothes, towel and sunscreen. How Much Does the Try Scuba Program Cost? The Try Scuba Program costs MYR300 per person. But if there are 2 or more persons in your group, then the cost is MYR250 per person. All Sabah State Government Fees including Jesselton Point Jetty Fee, Sabah Parks Conservation Fee and Diving Permit Fee. We can also help you crate a customised itinerary. Get in touch with us by calling +6016 812 0101 or Facebook Messenger @divingkotakinabalu.